Following previous report that Sprint 4G WiMAX phone to be available this summer, Sprint has announced the next markets in the national Sprint 4G roll out. Currently, Sprint's 4G service is available in 27 cities around the country, including Atlanta, Honolulu, Chicago, Baltimore, Las Vegas, Portland, Philadelphia, and Seattle. 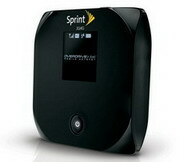 Sprint will launch service in multiple markets this year including Boston, Denver, Kansas City, Houston, Minneapolis, New York, San Francisco, and Washington, D.C.
0 comments on "Sprint 4G WiMAX expands to more U.S. cities"